With the River Medway meandering through Maidstone, a popular activity during the summer months is to take a walk or cycle along the Medway Tow Path by the river. 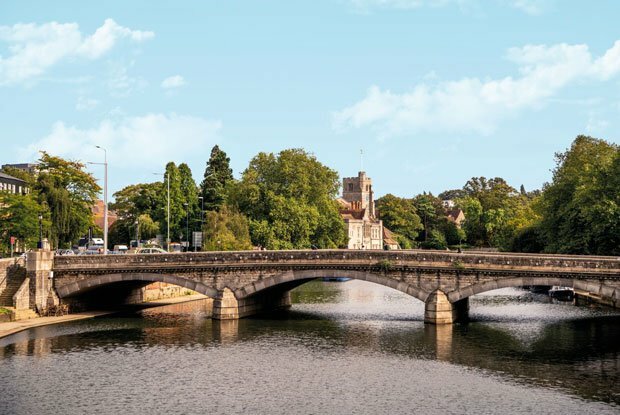 Alternatively, take a boat trip from Teston to the medieval Archbishop’s Palace in Maidstone and enjoy the Mediterranean cuisine at Maidstone’s only floating restaurant, Embankments Bar and Grill. For something completely different why not pay a visit to Maidstone’s All Saints Church which is the site of the memorial to Lawrence Washington, a relative of the first president of the United States, George Washington. Maidstone Museum and Bentlif Art Gallery are housed in the beautiful Elizabethan manor house, Chillington Manor, where over 660,000 specimens and artefacts can be found along with interactive experiences for children. For a spectacular day out, just 7 miles east of Maidstone and dating back to the 9th Century, Leeds Castle, described as “the loveliest castle in the World” stages open air cinema and theatre, firework displays and fun runs, as well offering a superb day out for all of the family whether it is an activity or a stroll through the magnificent gardens. A number of parks and open spaces as well as riverside walks can be enjoyed in Maidstone, notably the historic Mote Park spanning over 180 hectares; a freely accessible facility which includes a lake, children’s play areas, woodlands, heathland and grasslands as well as activities for all the family and a café for refreshments. The development sits on the edge of the River Medway alongside the stunning Whatman Park. Holding a Green Flag Award for Excellence with two nature reserves, a skate park, adventure play areas, a treetop walk and riverstage open-air arena, Whatman Park is a tranquil yet appealing place to spend some downtime. For education Maidstone has a wide choice of outstanding and good state and independent schools to choose from at every level of education. Close by the outstanding Maidstone Girls Grammar School celebrates their 130th anniversary in 2018 whilst Invicta Grammar School is listed in the top 10 schools nationally and in the top 2 in Kent and Medway in the Real Schools Guide in 2018. Mid Kent College of Higher and Further Education, which benefited from a £25 million investment for major redevelopment work in 2014, offers a variety of academic and vocational courses. To the north in Medway is the renowned University of Kent; a highly regarded research facility. As part of the North Kent Enterprise Zone, the Kent Medical Campus in Maidstone is an integrated centre of excellence for health, science and education and will provide 4,000 employment opportunities. Innovation Park Medway has confirmed it will receive £4.4 million government funding and will attract engineering and digital technology companies. The development of Ebbsfleet Garden City will also provide up to 30,000 jobs. 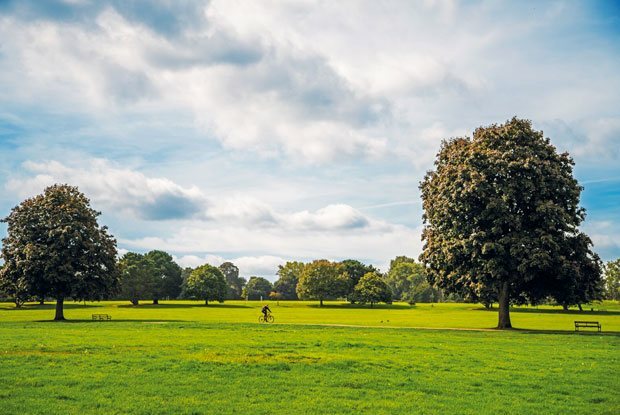 Springfield Park is located just 51 minutes from central London by train, so the employment opportunities are endless. The City of London also offers a plethora of renowned universities and educational facilities including Kings College and Imperial College London.